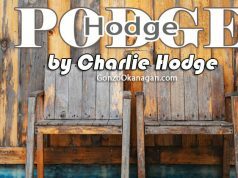 Hodgepodge: Advice about life - Gonzo Okanagan Online News, Music, Technology, Sports, Film, Arts & Entertainment, Culture, Wine & Dine... Life! 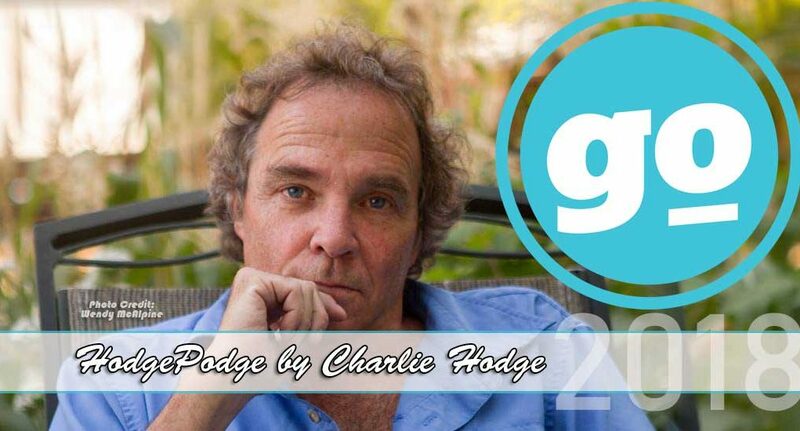 I hesitated when asked recently to speak to high school students with some advice about life. As one who barely graduated (I majored in parking lot) I pondered what wisdom I could possibly share. 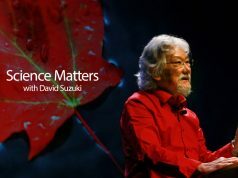 Then it dawned on me that surviving to age 63 as well as sobering second thoughts derived from three recent escapes from the dead side helped arm me with some worthy words of wisdom. I archived a column penned many years ago composed of various insights by other scribes and have added a few of my own pearls of pontification. Enjoy. (Not all should be taken with a serious swallow). Life is about choices so make ones you can live with. Remember you always have a choice. You may not have a choice in circumstances or events that happen however you do have a choice in how you deal with them. Remember everyone has a story. Listen. When asking a question pay attention to the answer. Listen with both ears open and your mouth shut. Everyone likes to talk about themselves, some just pretend not to. If you’re the smartest person in the room, change rooms. Never hurry to make a decision – mistakes can happen fast enough without being rushed. Never let the facts get in the way of a good story. (just kidding). When in doubt – leave it out. Avoid telling lies, it too easily becomes a habit. Even white lies can carry a dark result. If you insist on telling a lie make sure you remember it for the rest of your life because chances are good others will. Don’t change yourself to appease others, change yourself for you. Place a mirror between your bedroom and the rest of the world. Look at it first thing in the morning and at the end of the day. When you can’t look in the mirror it is time to have a serious chat with yourself. When meeting someone for the first time repeat their name often in that first conversation – it helps recall their name later. Always look people in the eye when talking to them, especially when doing business or making a commitment. Always walk with your head up, your eyes open, and shoulders back. Find happiness in everything you do. It’s there. Sometimes it takes work to find but the search is worth it. Nice people do not always finish first – but they usually feel like it. Never say yes or no until you have heard the full request. Luck is often fueled by preparation and determination. Never lend anything you cannot afford to lose. Buy a plunger before you need it. Same with a flashlight and a will. Always keep a change of clothes in the office or the car. Smile, it makes you and others feel better. When facing difficult times, decisions, or up against heavy odds – grin. It makes the opposition nervous and wondering what you are up to. Be thankful for waking up. Start every day by saying ‘thank you’ out loud – it sets a positive tone to the rest of your day. Discover your passion and try to turn it into your career. No matter what you choose for a career or job – be the best that you can at it. Everyone deserves your respect until they prove different. No matter what a person does for work or a job they deserve respect if they do it to their best ability. Being a man is not measured by how macho they are in taking care of themselves but how well they take care of others. The size of a person is measured by the size of things that bother them. When seeking a relationship make sure the heart and brain are making key decisions – not other body parts. Nothing is sexier than confidence. A sense of humour is a close second. In public always dress like you are about to meet the love of your life or the boss of that ‘dream job’. Nothing beats a sharp looking suit. Brush your teeth before putting on a tie. Complaining about a task or job will not fix it or speed up its completion. Investing in quality tools or products means they seldom have to be replaced. The same can be said for investing in quality friends and people. Eliminate the word can’t from your personal dictionary. Life does not come with a road map. When possible have a plan for your journey yet be open to adventure. Life is not always fair – get used to it. Bad things happen to everyone, not just you. Meet challenges head on. Be responsible and accountable for all your actions. Tell those you love just that. No one can hear they are loved too often if it is sincere. No one on their death bed wishes they had spent more time at the office, working, or arguing. Enjoy every moment. Allow death to sit on your shoulder and be an advisor. Live everyday as if it is your last – it very well could be. Never walk away from an unfinished pint.